Sunderstorm Scientific's Lucidity is one of the most exciting new products in the industry. Blending THC, CBD and 5-HTP, Lucidity is discrete and perfect for patients seeking clarity and happiness through cannabis oil. Leveraging advances in the nutraceutical industry, the nanoparticle formulation is proven to be more effective than tinctures, sprays, and capsules by delivering the molecules directly to your system within an incredible 5-10 minutes. No more waiting for the effect to hit. Lucidity is an exact and tested blend 3 parts THC to 1 part CBD and is engineered by scientists to maximize the delivery to your system, Using nanotechnology with liposomal particles confirmed at 30nm in size, the nano-emulsion provides 80-90% bioavailability, meaning that you get 4- to 6 times more of the CBD and THC into your bloodstream than tinctures or edibles and almost twice as much as smoking. This has been verified by hospital doctors studying this product. Lucidity has 5-HTP embedded as well. 5-HTP is a well-known compound commonly used to elevate your mood, great for patients seeking a little more happiness and clarity in their experience. 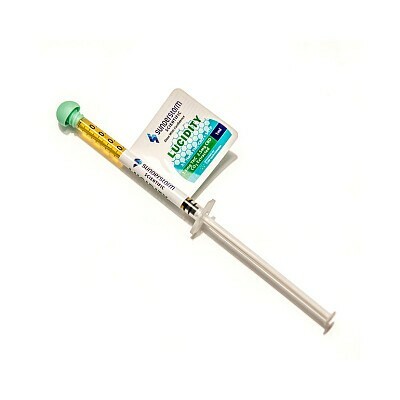 Each 1ml syringe holds 1-4 consistent doses depending on the patient. Sunderstorm's commitment to science raises the bar for patients seeking the powerful benefits of cannabis.